When my youngest son was very young, he was frequently impacted by the negative effects of artificial food dyes. Sadly, we did not realize what was happening with him for quite some time. For years, we were puzzled by apparently random bouts of anger that were, in fact, a result of eating or drinking a trigger food,beverage or even medication. Thankfully, we did eventually figure out what was happening and the instances of uncontrolled anger pretty much disappeared. Along the way though, we used picture books to help our children understand anger and give them techniques for managing frustration and bad moods. Please leave a comment and let me know about your favorite books for exploring this theme. When my children were young, we had a wonderful collection of Red Fox Mini Treasures. These were small-format picture books from many well-known, accomplished children’s book authors and illustrators. 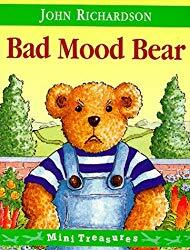 One of our favorite Red Fox Mini Treasure books was Bad Mood Bear. 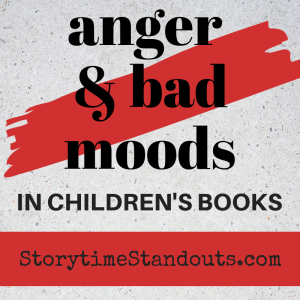 If one of my sons had a rough day, reading this story was one way to help him understand and learn to manage strong emotions, including anger. 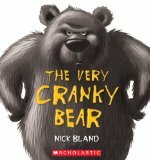 In addition to depicting a tough day, Bad Mood Bear also shows that the opportunity to feel and behave better may be just a short nap away. 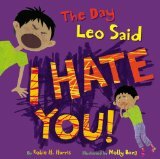 You may not be able to find a new copy of this picture book but I did not want to leave it off my list of children’s books about anger. ‘Buzz off!’ screamed Bear, flapping his arms around in a temper. Usually, Finn is happy and loving but when Finn is upset, everybody in the household suffers. 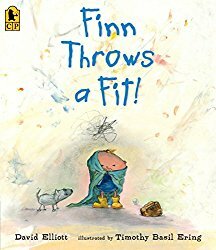 Using thunder, lightning, flooding, hurricane winds, blizzard conditions and an earthquake to describe Finn’s outburst, Finn Throws a Fit! will delight young readers and their parents. He was too grumpy to eat. He was too grumpy to play. In fact, he was too grumpy to fly. “Looks like I’m walking today,” said Bird. I arrived for each appointment with a briefcase filled with picture books, puzzles, games and other activities. 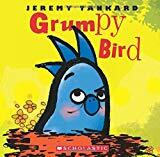 More often than not, Grumpy Bird was selected by my student and we enjoyed reading about Grumpy Bird spending time with friends (even if he was not enthusiastic about their company) and, eventually finding himself transformed into a happy, social creature. 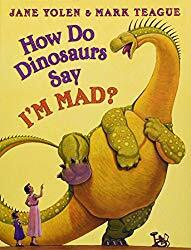 Part of the How Do Dinosaurs series of picture books, this story not only describes behaviours that might happen when a child is angry, it also suggests ways for a child (or dinosaur) to deal with angry feelings. Dinosaur fans will love the detailed endpapers and the notations within the book that identify the species of each of the dinosaurs. Some readers have commented that it is unfortunate that the dinosaurs do begin by behaving badly. Their behavior includes ripping books, throwing a mug, kicking and defiance. We agree with these observations but, unlike several books about anger, grumpiness and bad moods, this book did include suggestions for managing strong emotions. When young children feel anger, it can be a frightening experience for them. They may be completely overcome by frustration and may be unable to control their words. Here we meet Leo, a little boy who has been told, “No” more times than he can count. His mommy doesn’t want him to roll tomatoes across the floor and she doesn’t want him to drop string beans into the fishbowl. Strong, bold Photoshop illustrations are sure to resonate with children who have felt overpowering emotions. A valuable resource for families, The Day Leo Said I Hate You! is a reassuring story of enduring love – even when it has been a very long and extremely emotional day. 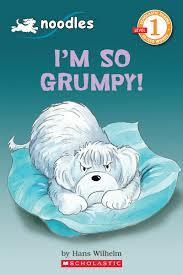 Beginning readers are sure to enjoy this simple story about Noodles’ bad mood. He doesn’t like his food, he doesn’t want to go for a walk. He wishes that everyone would leave him alone. Repetitive text and appealing illustrations will support young readers as they enjoy this fun story and the thrill of reading independently. There are a total of 32 books about Noodles that are perfect for new readers. Check out this page of resources, including posters and a teacher’s guide.